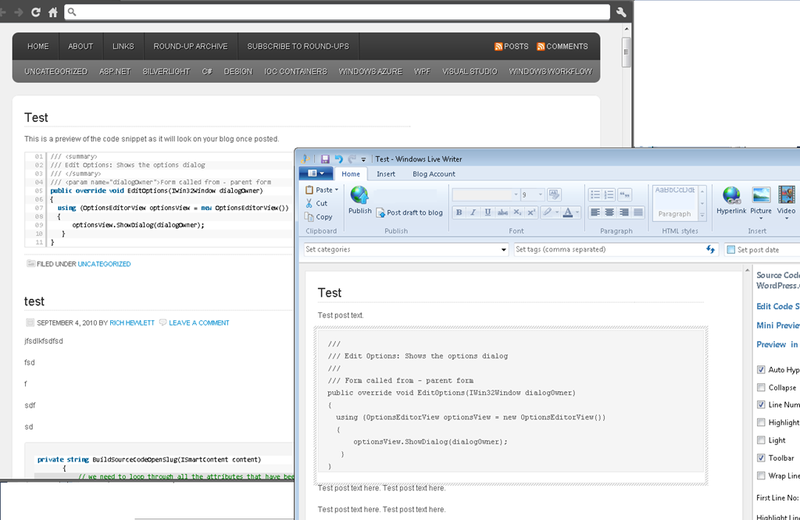 I’m pleased to announce the release of version 1.3.0 of my Windows Live Writer (WLW) Source Code Highlighter plugin for WordPress.com hosted blogs. For those not aware of this plugin it enables you to quickly insert a source code snippet into your blog posts using the WordPress.com source code short codes. For more information and a run down of features checkout this page. 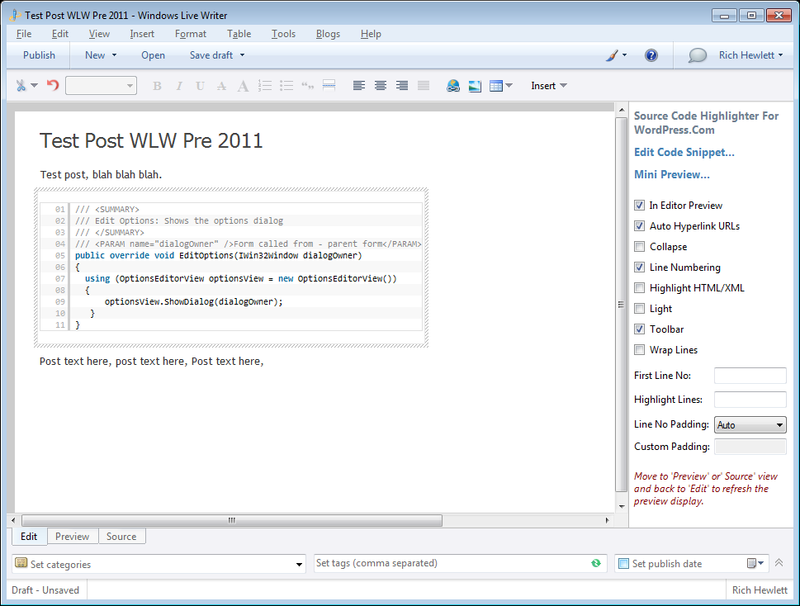 Regardless of what version of Live Writer you are running there is also a new ‘Mini Preview’ feature. The code entry screen has been extended to have a preview tab where you can instantly see the results of your code changes in full syntax highlighted glory. 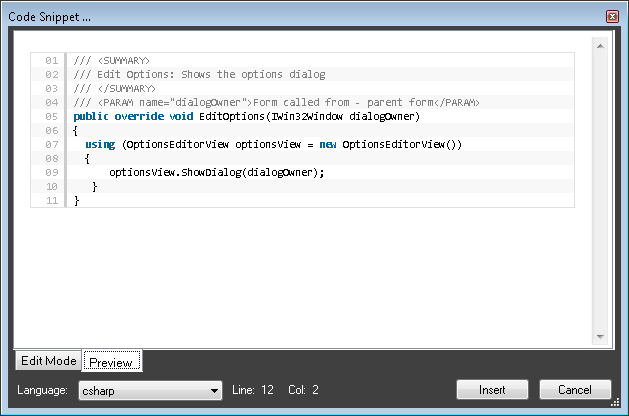 The code entry screen is now fully scrollable and resizable too. I’ve also included a few small tweaks and bug fixes in this release as usual. For example you can now Alt-Tab correctly back to the Code Entry screen and all languages should now display correctly when previewing. To download (it’s FREE) just go here: https://richhewlett.com/wlwsourcecodeplugin/ and click Download Now.